An outsourcing partner can be a catalyst to help you achieve business goals. With the repository of benefits that it brings along, it is beneficial to choose offshore outsourcing for startups as well as established companies. Have you have already shifted towards offshore outsourcing? Well, that’s great! But if you want to achieve maximum benefit, you should know how to effectively collaborate with dedicated offshore programmers. It will help you to leverage their experience and expertise to overcome tough challenges. Poor communication often leads to an unproductive team of employees. In fact, on-time meetings and effective communication is the key to build trust, boosts morale and building a good working environment. Make every individual understand their roles and responsibilities. They should have a clear understanding of the task assigned. Your remote workers should be aware of milestones & deadlines. It will help you to ensure that everyone is on the same page & your team will execute the work smoothly. Moreover, building a relationship of trust from the very beginning is essential. And initial communication is the best way to establish a relationship of trust. ‘As soon as possible deadlines’ may produce unfavorable results. Creating unrealistic deadlines will mark a noticeable decrease in the work quality of your remote team. Moreover, they will start working under stress and might get frustrated with their work. To avoid this, have a brief discussion with your team about the project timelines. Once every team member agrees, finalize the project deadline. Select one primary method of daily communication where the team members will remain active for project discussion or to receive the instructions. Furthermore, conduct regular meetings to make sure the project is moving in the right direction. This promotes a healthy work environment & gives an opportunity to your remote employees to show their talent. You can use messenger apps for less formal communication. Keep up to date with your offsite team members using collaboration tools like Google Docs, Skype, Slack, Google Chat, etc. This creates a solid rapport among the team members. Moreover, choose the virtual communication tool as per the preference of both parties and keep all the project communication in one place. This boosts accountability and allows all team members to collaborate in real time. In the case of offshore software development, your project management tool must have different sections for reporting bugs, tasks, and questions. Also, building a routine around the tool is important. This can be done by writing clear and detailed guidelines regarding the project. Initial communication will play an important role to decide your project management tool. Related Blogs: Offshore Software Development Trends You Need To Know! While hiring your remote development team, you have tested their skills & performed a background check. Now, it’s time to let them do their work. Allow them to work freely & share their suggestions. Just monitor the project progress & connect with your team whenever required. 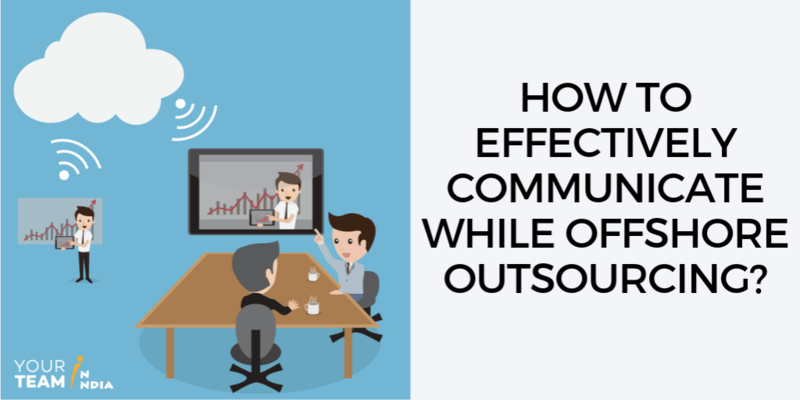 It will help you build trust & get the maximum out of your remote team. Handling stressful situations and solving problems may sometimes turn frustrating. Also, confront the issues before they arise by keeping all the employees informed about the risks and potential unexpected cost. Furthermore, developing a diversity of multicultural awareness is also important. This helps in understanding the norms and customs of the offshore team. Be mindful of everyone’s time zones and use it to your advantage. In addition, schedule the meeting times that suit both the parties. In short, if you will treat your employees with respect they will go the extra mile to achieve your goals for you! Offshore outsourcing is a profitable business but only when a good working relationship is maintained. Always remember that the remote offshore team is an extension of your business. Employees are highly skilled professionals having the eagerness to accomplish the impossible. So, don’t forget to invest time on your team while offshore outsourcing!